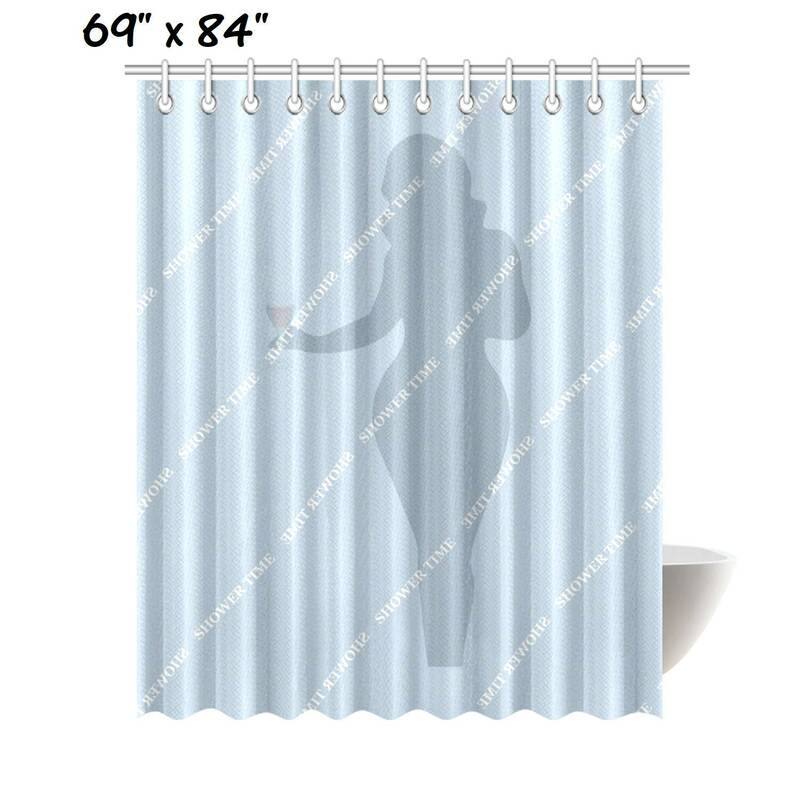 Woman's silhouette behind shower curtain. 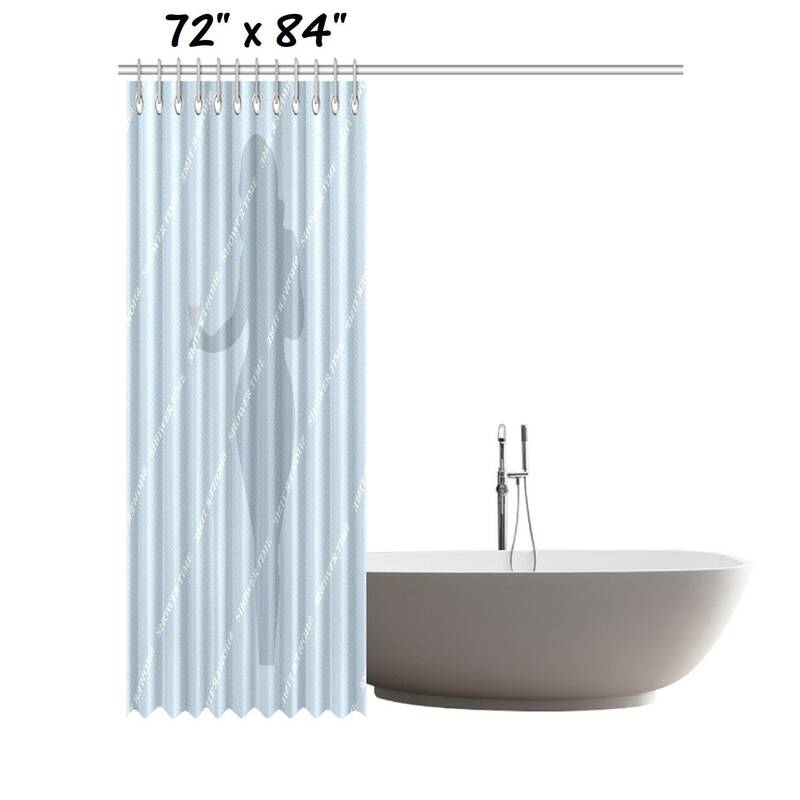 *17.69 Oz.Designed for standardized bath tubs, fitted with C-shaped curtain hooks, approximately 72"(W) x 84"(H). 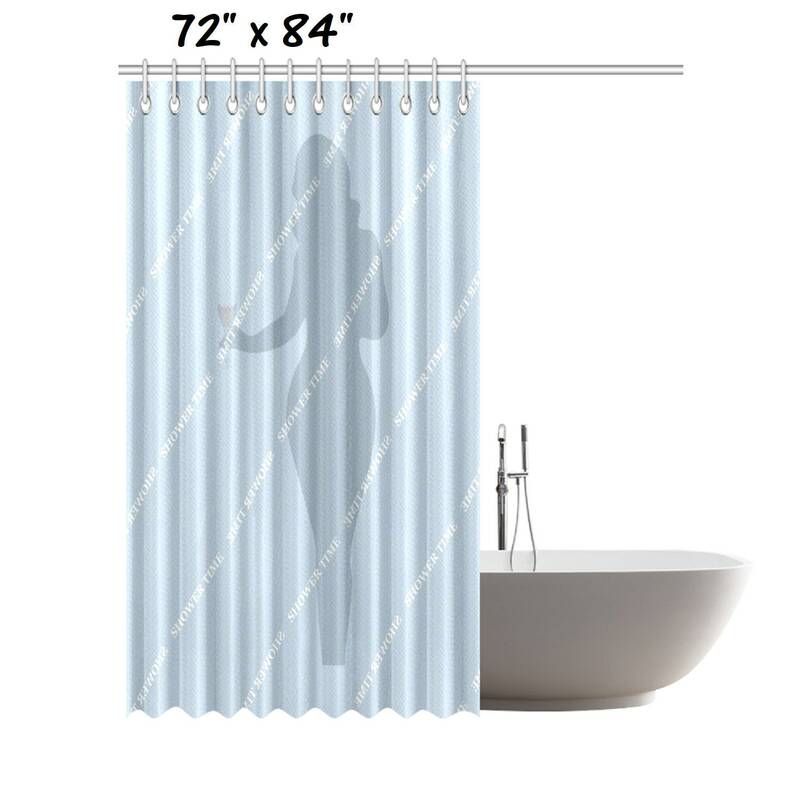 *17.69 Oz.Designed for standardized bath tubs, fitted with C-shaped curtain hooks, approximately 69"(W) x 84"(H). 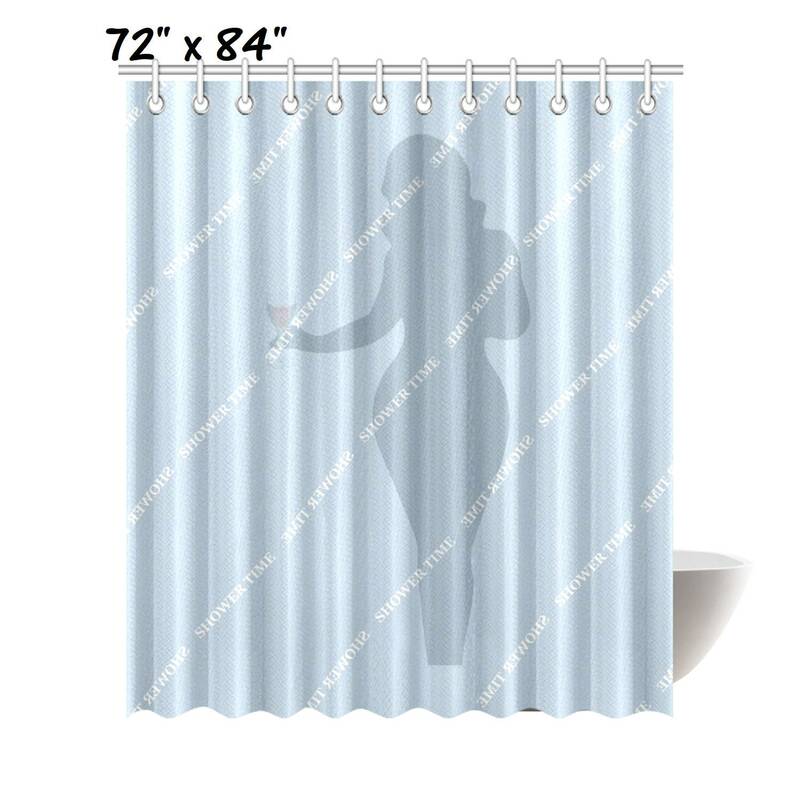 *Tough durable waterproof polyester fabric, preventing water from splashing out of the shower stall. *One-side printing, using heat dye sublimation technique, long-lasting effects. 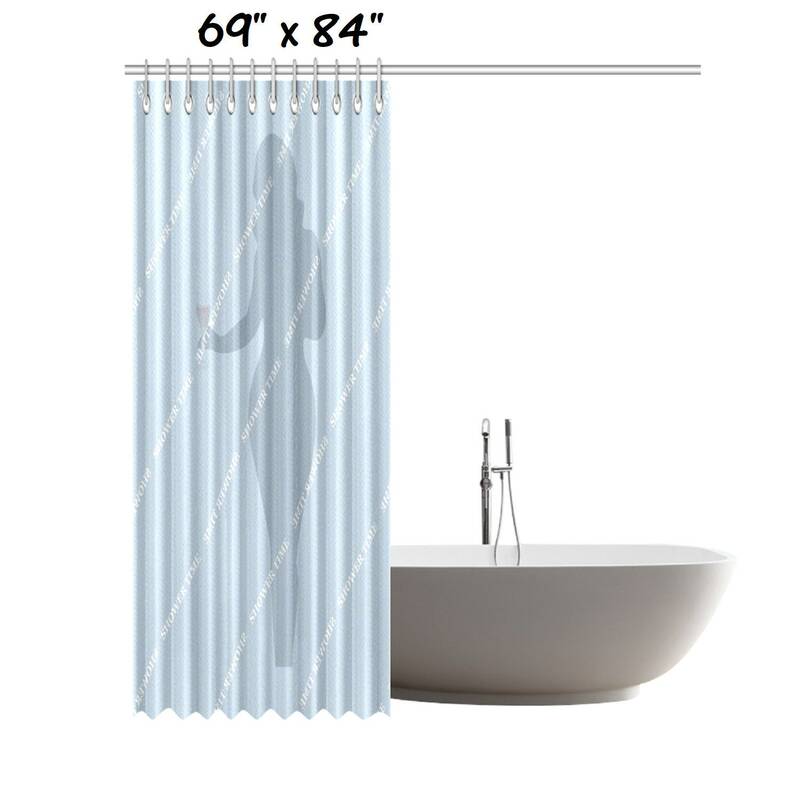 *Easy cleaning, machine/hand washable in cold water. Air dry. Do NOT bleach or tumble dry.